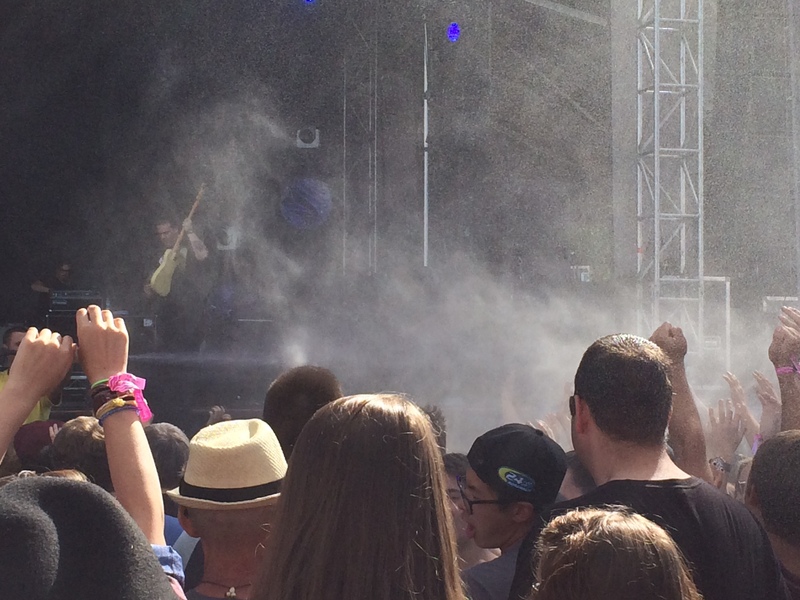 Alternative to dry ice and on stage pyrotechnics for a hot August music festival in Alberta: get security to spray the crowd with water. 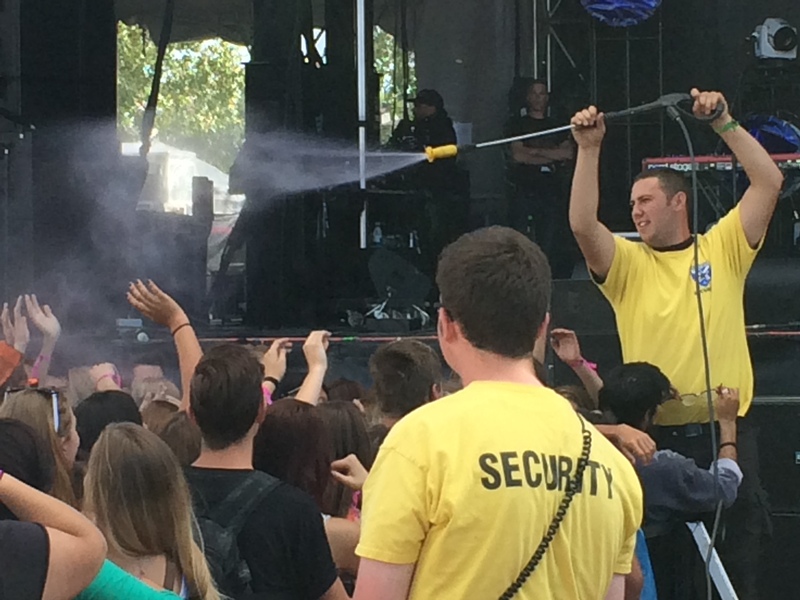 The fans loved it as a freshen-up between Alt music acts on Day One of the Calgary X-Fest. The day began, at least for me, three bands into the line up with Kentucky’s Sleeper Agent getting the crowd, well waving along to their song Waves. The Mowgli’s, from LA and grammatically incorrect since 2009, started up their spot with a short recording to remind the audience of their band name’s roots in the children’s favourite “The Jungle Book”. The crowd responded with good reactions to their southern Californian love songs, lot’s of LOVE songs, especially at the end of their set, playing San Francisco. Stars were up early on this hot Calgary afternoon. The Toronto band enjoyed taking the risks of playing some new numbers such as From the night and This is the last time for the very first time live. The Airborne Toxic Event (just visible above as I could only use my iPhone today), a Cal-band with great stage presence, mixed some fine violin strings into a long, luscious intro to Sometime around midnight. One of my favourite moments from an impressive line up that progressed with the recently reformed The Smalls, Fitz and the Tantrums, Death Cab for Cutie and finale from Jack White. 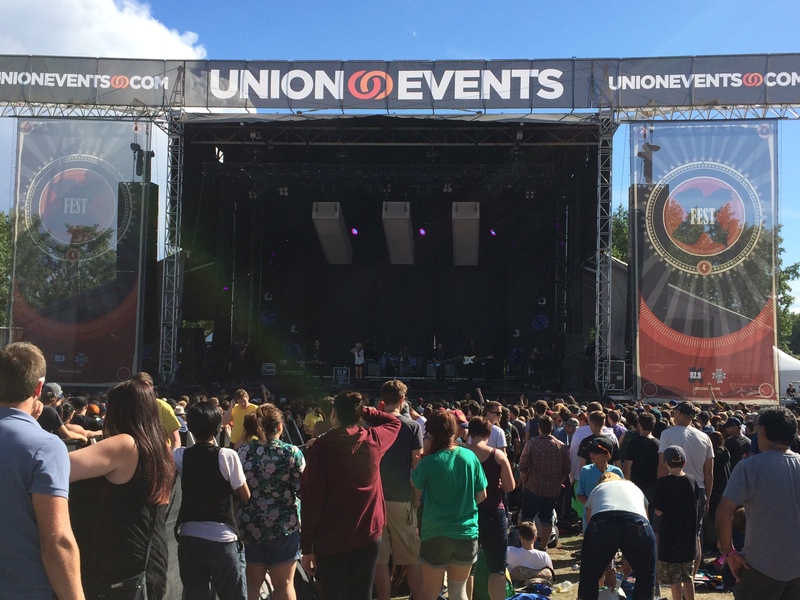 Can’t wait for todays line up at Fort Calgary, especially Yorkshire lads The Arctic Monkeys, brought together by X92.9 and Union Events. For X-Fest Day 2 click here.